Books: Sheep in a Jeep, How Will We Get to the Beach? Name: Combine letter's in child's last name. 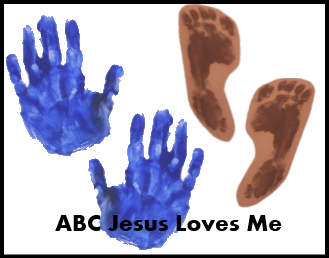 • Create a hand and foot print to compare with the one created at the beginning of the curriculum. Using sixteen shallow cups, write a number (0-15) on the side of each cup. Have your child fill each cup with the correct number of small items. Suggested items include Cheerios, M&M’s, buttons, and coins. If the child is ready, place all the 3" letters in the child's last name side-by-side in a dry erase pocket and assist the child in tracing each as you say the Letter Formation Chant. Use the checklist to determine what your child learned while using the 3 Year Curriculum. Review your child’s favorite activities and focus on any objectives with which your child is still struggling. • Congratulations you finished the 3 Year Curriculum! Use the Graduation poster to create a precious photo op to remember today. Be sure to tag #ABCJLM or @ABCJesusLovesMe when you post it on social media! Write "My Family" on the bottom of a blank piece of paper. Have your child draw his family and correctly trace the letters "My Family" with a finger. Your child has been doing this activity periodically throughout the curriculum. Write the date on the back of the picture and compare this picture to the past ones created. Hopefully the pictures have become more detailed with time. 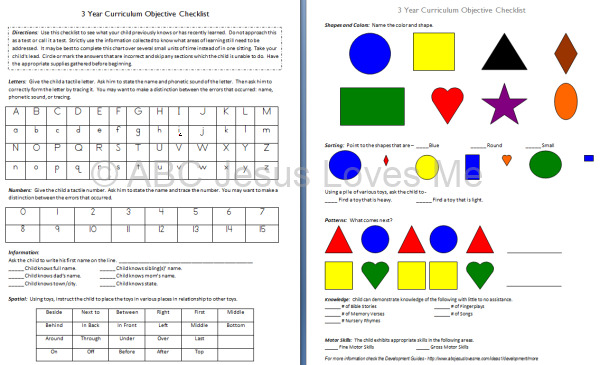 Create a Memory Obstacle Course using animals (plastic, puzzle, or flashcards). Ask for the animal by name or the sound the animal makes. Congratulations! 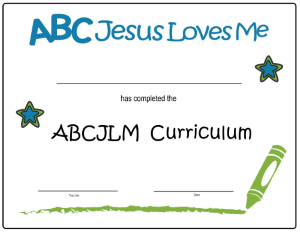 You have finished the ABCJLM 3 Year Curriculum. Click to being the 4 Year Curriculum now.